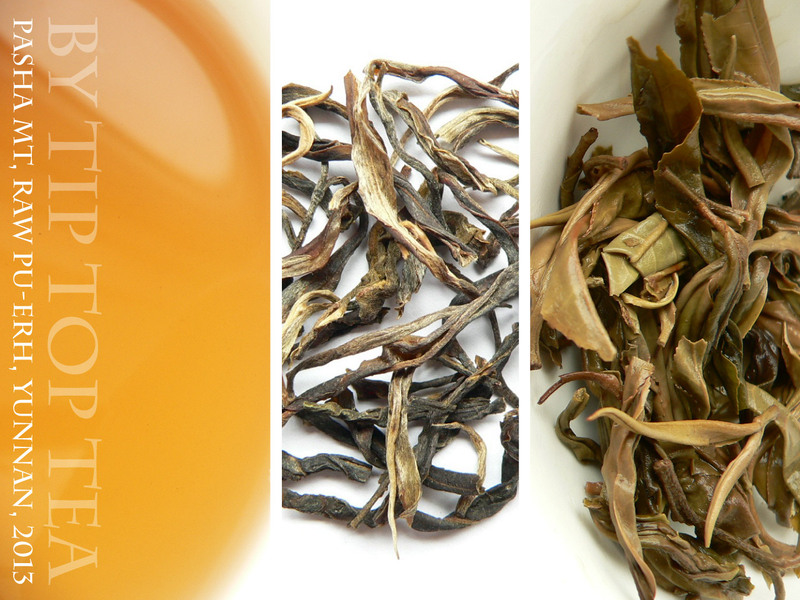 Flavour profile: Delicious medium-young sheng (raw) flavour with a delicate herbal complexity with sweet flowery honey notes giving way to an emerging pine like fresh finish. Later infusions have less sweetness and more mineral like qualities. Leaf: Beautiful long twisted arbor leaf, lots of silver tips and hairs on these dark and light brown coloured leaves. Superb strong complex aromtics from dry leaf; Quality picking. Origin: Pasha, Menghai county, Xishuangbanna, Yunnan, China. 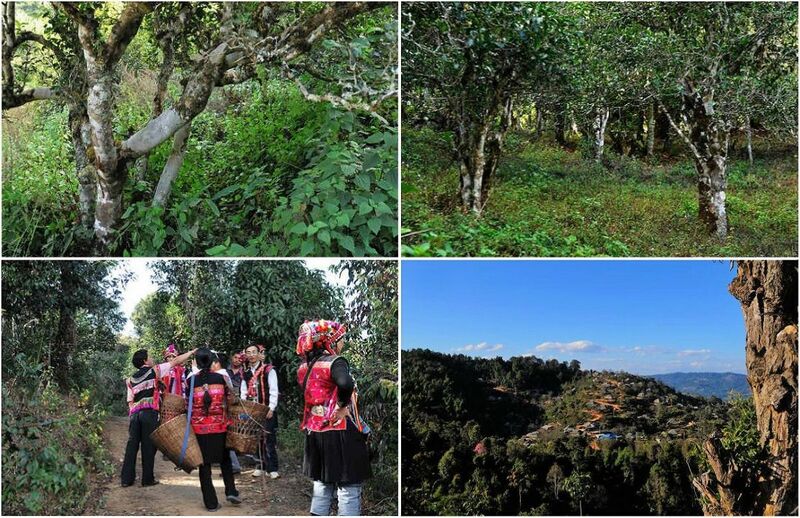 Background: Xishuangbanna is an autonomous prefecture in the south of Yunnan Province, home to some of the most reknown tea mountains and the highest priced pu-erh maocha (unprocessed leaf). This region is divided by the Lancang river (which becomes the Mekong further south) with Six Famous Tea Mountains (SFTM) either side, east and west. Located in the western area in Menghai county Pasha Shan (mountain) is one of these SFTM, sitting between Nannuo shan and Bulang shan. Pasha (aka Mengpasha shan) is home to the Aini ethnic group in whose language Meng Pasha means 'tall and straight forest'. The Aini people settled in this pristine forest area 300 years ago and have since settled in 5 villages over the mountain making their living mostly from tea cultivation. The average elevation of their tea gardens is around 5000ft. This tea: Our Sheng (raw) pasha tea is single origin directly from the garden of a tea farmer living in Pazheng village who owns a comparatively 'young' plantation with tea trees 80 years old. Respecting the local forest environment he never uses any pesticide in his garden and has produced a fine bud and leaf picking of plump, hairy beautiful leaves. This medium-young sheng pu-erh makes great drinking now, but should also age very well thanks to the deep lasting flavour and good thick texture in the cup. Brewing guide: 'Wash the tea' - rinse the leaves first to remove any natural impurities that are present. To do this steep the leaves in boiling water for 5 seconds, give them a swirl and discard the water. Repeat for a further 10 seconds and discard. This also serves to wake up the tea leaves and warm the pot for use. Use freshly drawn water, ideally filtered. 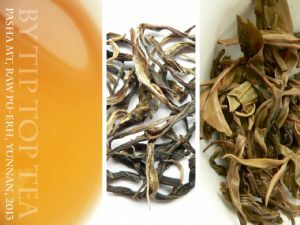 Western brewing: We recommend western style for this tea, as the many layers of flavour in this tea taste superb together! 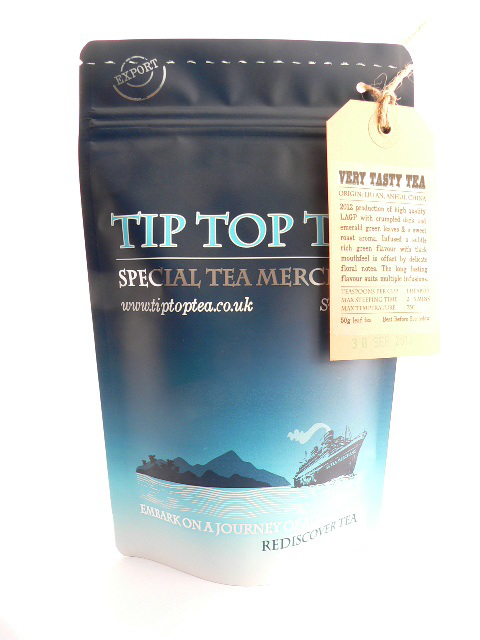 Use one heaped teaspoon (just 2g) for one 200ml serving steeped at 80C for 2min30s. This is slightly less than 'usual' as this tea is potent! Use the same leaves for a second infusion using water 90C infused for 2 mins, and a third infusion for 3 mins. Using a lower temperature brings out sweeter flavours. Gong-fu style: Use 5-6 grams (3 teaspoons) per 100ml, repeatedly steeped for very short periods, 15secs for the first steep (after rinsing as above), then 10secs for the second, and increase by 5seconds thereafter for each steep. Adjust for personal preference, shorter if too strong, longer if too weak. This is best done in a small brewing vessel, eg. a teapot under 200ml.